The Toronto Jewish Film Festival provides sponsors with invaluable ways to engage key stakeholders and audience members across a variety of platforms, including: stage, screen, print and digital. 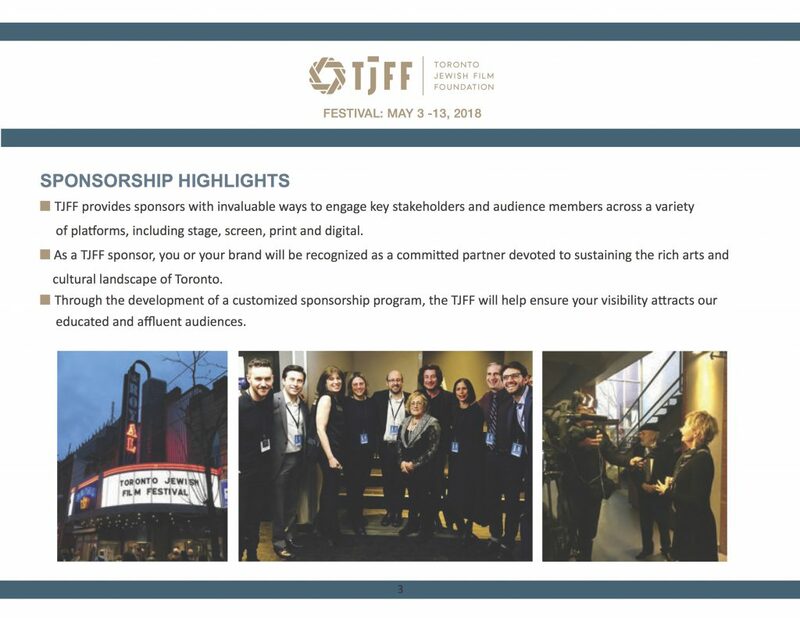 As a TJFF sponsor, your brand will be recognized as a committed partner devoted to sustaining the rich arts and cultural landscape of Toronto. Download the 2018 Sponsorship package for more information.